Since May 2014, the number of active insurance companies incorporated in Turkey is 61, consisting of 37 non-life insurers, 19 life and pension insurers, four life insurers and one reinsurer.2 Reinsurance cover is mostly provided to Turkish insurance companies by foreign reinsurers. The total of premiums collected in 2017 amounted to approximately 46.5 billion lira, indicating an increase by 14.9 per cent compared to the previous year.3 Of this aggregate value, approximately 39.7 billion lira were derived from non-life insurers,4 whereas approximately 6.8 billion lira were derived from life insurers. These values include the premiums collected from both inside and outside Turkey. In recent years, foreign investors' interest has grown significantly with the stabilisation of the economy, the efforts to comply with EU laws and regulations, and the considerable insurance potential in Turkey. The foreign share in the insurance sector at the end of 2013 totalled 61.29 per cent of active insurance companies.6 Statistics reveal that 76 per cent of the reinsurance market is dominated by foreign reinsurance companies, whereas the remaining coverage is provided by one active reinsurance company established in Turkey. The premium to GDP ratio in Turkey is low, demonstrating potential for growth in the future years.8 It is also worth noting that the goal of the insurance sector is to generate up to 63 million lira in premiums by 2023.9 Despite growing awareness of insurance, the Turkish insurance market is still underpenetrated and there is still a significant lack of legal and practical experience, particularly with respect to various types of policies including but not limited to directors' and officers' liability insurance, infidelity, commercial crime and various aspects of complex policies such as all-risks construction and engineering policies. On the other hand, the number of insurance agreements made as a result of cyberattacks has increased considerably. Cyber risks are seen as one of the newly emerging risks inevitably falling within the interests of insurance and reinsurance companies in Turkey, as well as around the world. As the Turkish e-commerce market has been emerging, new legislation and administrative measures are expected in the near future that would consider cyberattacks as a risk economically as well as for national security. This would eventually mean additional legal responsibilities for companies and organisations, and increasing need for insurance coverage. Enforcement through the Turkish court system is a rather lengthy process. Subject to a monetary limit, insurance disputes are handled by general first instance commercial courts. Lack of sufficient experience and specialisation, coupled with the inadequacy of the legislative provisions of the old Commercial Code (replaced by the new Turkish Commercial Code (TCC) as of 1 July 2012), as well as case law leads, in addition to other hurdles of Turkish litigation, to a considerable level of uncertainty with respect to the outcome of court proceedings. Out-of-court settlements are therefore frequently used. Courts cannot force parties to settlement or ADR but are required to remind them of their options at the end of the preliminary examination. The insurance regulatory agency in Turkey is the Insurance Undersecretariat of the Treasury (Undersecretariat). An insurance company in Turkey can only operate in the form of a joint-stock company or, in the case of mutual insurance funds, a cooperative company. Before incorporation, insurance companies must obtain approval from the Ministry of Customs and Trade. Insurance companies must apply to the Undersecretariat for licensing in each insurance licence class. Companies failing to apply for an insurance licence within one year of their incorporation will lose their right to use 'insurance' in their commercial names, as well as being subject to criminal and administrative penalties. An insurance company is not allowed to be active in both the life and non-life insurance divisions or in any sector not related to insurance. The minimum paid share capital of an insurance company is 5 million lira, paid in cash. A foreign insurance company can only operate in Turkey by opening a branch, by incorporation of a company in Turkey, or by acquisition of shares of a local insurance company. Insurable interests of residents in Turkey must be insured by insurance companies established in Turkey with a limited number of exceptions, such as the import and export of freight, ship chartering and life insurance. Non-compliance with the above conditions shall be subject to criminal sanctions including imprisonment and fines. Because of the above restrictions, fronting arrangements are frequently made with local insurance companies. Insurance products are aimed to be distributed in accordance with business and ethical rules and commercial customs with a focus on the needs and demands of the customer. As in other markets, in 2015 bancassurance became the main life-insurance distribution channel in Turkey.13 Banks function as agents bringing together insurers and clients, demanding simple and low-cost products from trusted financial institutions. There are a considerable number of areas of compulsory insurance in Turkey, particularly in relation to dangerous categories such as gas boilers, transportation, medical injuries, clinical trials, and hazardous materials. The most frequent type of compulsory insurance in Turkey is cover for motor vehicles. Following the unfortunate mining accidents in Turkey, in 2015 to enhance working conditions and ensure workers' safety, the Ministry introduced compulsory personal accident insurance for those working in mines. Furthermore, in 2015, the amendment to the Regulation on the Tracing of Compulsory Insurance specifically stipulated that those insurance companies authorised to provide insurance services covering an area of compulsory insurance, cannot refrain from issuing compulsory insurance and cannot amend insurance policies in such a way that excludes risks related to the compulsory insurance. The Insurance Act provides security funds as a precaution for losses to be indemnified because of compulsory liability insurance. For instance, injured persons can resort to the fund for physical injuries if the injury cannot be attributed to anyone or those responsible for the injury are uninsured, or for physical injuries and pecuniary damages in the event the insurance company is bankrupt or its licence is cancelled owing, for instance, to insolvency. Various activities including transactions related to the commencement of operations; voluntary windings-up or mergers and acquisitions; acquisition by another company with its assets and liabilities; and the transfer of insurance portfolio are all subject to authorisation by the Ministry. Insurance company transactions remain exempt from VAT but are subject to a banking and insurance transaction tax (BSMV) and fire insurance tax. Save for the specific exemptions, the general rate of BSMV is determined as 5 per cent of the insurance companies' transactions and the fire insurance tax, levied at 10 per cent, shall apply to insurance premiums collected on fire insurance purchased for movable and immovable properties within municipal boundaries and adjacent areas. Turkey adopts a continental law system and legislation is the principle and primary source of law. The provisions of the Turkish Code of Obligations shall be applicable on the insurance contracts where the Insurance Chapter of the TCC is silent. The principles of freedom of contract apply subject to the mandatory and protective measures of these Codes. Accordingly, the Insurance Act provides that the Council of Ministers is entitled to stipulate compulsory insurance in the interests of the public good, the execution of which cannot be rejected by the insurance companies upon the request of the intended insured. Although court decisions are in principle not binding, in giving their judgments, local courts tend to rely heavily on the judgments of the Court of Appeal. Turkish law does not explicitly contemplate reinsurance contracts. With the exception of the special provisions under Agriculture Insurance Act No. 5363, the only and main provision that particularly concerns reinsurance agreements is included in the TCC. Insurance companies may reinsure the risk on whatever terms and conditions are deemed fit and necessary (Article 1403). 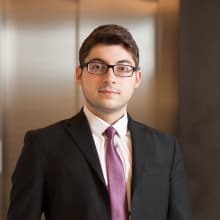 Despite the wording of this particular provision and the fact that there is no other provision that directly concerns reinsurance agreements in Turkish law, many academics take the view that the reinsurance agreements are ultimately subject to the mandatory pro-insured provisions governing insurance agreements. Therefore, in addition to the general rules of contract law, insurance law provisions in the TCC would to the extent possible apply to reinsurance relations by analogy. It is, however, not clear to what extent and how provisions of insurance law in each case would apply to reinsurance. The Insurance Act and subsidiary legislation provide the regulatory framework of the insurance and reinsurance industry. [A] contract under which the insurer undertakes, in exchange for a premium, to indemnify a loss caused by the occurrence of a danger or risk, harming an interest measurable in monetary terms of a person concerned or to effect payment or to fulfil other performances based on the lifetime or upon occurrence of certain events in the course of the lifetime of one or several persons. The following can be identified as the main elements of indemnity insurance. The Code refers to an 'interest measurable in monetary terms'. According to established doctrinal views and practice, an insurable interest in indemnity insurance consists of proprietary, intellectual or personal rights and receivables that are measurable in monetary terms and capable of enforcement by legal action. With respect to life insurance, the TCC provides that the policyholder can take out insurance on its own life or on the life of another person (person subject of the risk) against death or survival. In the case of insurance on the life on another person, it is required that the beneficiary has an interest in the survival of that person. Lack of insurable interest not only at the time of the conclusion of the contract but at any stage will result in invalidity of the contract. Provisions to the contrary will render the insurance contract invalid. The definition of the TCC includes 'risk', namely danger that leads to harm to the insured interest. The TCC also explicitly refers to the obligation of the insurer to 'carry the risk'. Accordingly, depending on the type of the insurance contract, the risk is transferred to the insurer as soon as the premium paid or the contract is concluded. The insurance sum is subject to the limit of the insured value and the actual loss in indemnity insurance. The TCC provides that 'unless otherwise contracted, liability of the insurer starts at the time of actual payment of the premium or the first instalment'. A new amendment has been introduced by the TCC regarding the insurer being silent at the conclusion of the indemnity contract. Since insurance and reinsurance contracts are contracts of utmost good faith, one of the statutory duties of the policyholder is the duty of disclosure and not to misrepresent facts known or reasonably expected to be known to him or her before the conclusion of the contract. The TCC imposes a duty of disclosure on the insured at three different stages, namely: before the conclusion of the contract, during the contract and at the time of occurrence of the risk. Regarding the duty of disclosure before policy inception, the TCC provides that the policyholder is under a duty to disclose important facts that are, or should be, known to him or her. The TCC also provides that questions asked orally or in writing by the insurer are presumed important unless proven otherwise. The TCC, after confining the duty of the policyholder to the questions in a list provided by the insurer, explicitly provides an exception where facts were concealed in bad faith. In cases of non-compliance with the duty of disclosure before policy inception, the TCC provides alternative rights for withdrawal of the policy or asking for a change in the premium, both to be used within 15 days of becoming aware of the non-disclosure of important facts. When the request for a change in the premium has not been accepted within 10 days, the insurance will terminate automatically. When breach of the duty of disclosure has been discovered after the occurrence of the risk, a reduction on the insurance indemnity will be made according to the degree of negligence of the policyholder in its failure to disclose, provided that the negligence has the potential to affect the occurrence of the risk or the amount of the indemnity. When the policyholder acted wilfully, the insurer has no liability for insurance indemnity provided that there is a connection between the non-disclosure and the occurrence of the risk. When there is no connection, the indemnity shall be paid taking into consideration the proportion of the paid premium and the premium that should have been paid if the circumstances had been disclosed. The insurer must issue an insurance policy, recording the mutual rights, obligations, including default provisions and special provisions accompanied by general conditions predetermined by the Undersecretariat and signed by the insurer. Written form is not a condition for validity but a regulatory requirement for the protection of the insured. General principles concerning interpretation of contracts in civil law also apply to insurance contracts, especially the principles of utmost good faith and honesty. When there is ambiguity or contradictions in the wording, interpretation in favour of the insured prevails because the primary duty of providing a proper wording is on the insurer. The principles of protection of the insured and keeping the insurance contract alive are dominant. One of the main points to be considered in the interpretation is the principle of balance between the risk carried by the insurer during the term of the contract, the premium collected and the interests. There is no legal discussion with respect to the conditions of incorporation of insurance terms to the reinsurance contracts; however, the terms subject to incorporation must be in compliance with statutory provisions. For instance, provisions concerning public order have to be taken into consideration. Special provisions of insurance contracts have to be drafted in accordance with the standard general terms approved by the Undersecretariat and the mandatory provisions of the TCC. Non-compliance with mandatory provisions may render the contract or the relevant contract provision invalid. There are various legal provisions that cannot be contracted out contrary to the interests of the policyholder, the insured or the beneficiary. Sanctions attached to certain warranties or conditions precedent to cover do not necessarily give the terms the intended effect and may be caught by semi-mandatory or mandatory provisions of the TCC. Where a condition or warranty relates to the duties already provided for by the TCC, such as the duties of disclosure and notification before and during the contract (regarding any increase in the risk) and upon the occurrence of the insured-against event, then semi-mandatory provisions that cannot be amended contrary to the interests of the policyholder, the insured or the beneficiary with respect to such duties and sanctions are highly likely to be applicable. These provisions prevent the insurer from simply rejecting cover on the basis of non-compliance and subject sanctions to various conditions such as a causal link between the failure in compliance and the occurrence of the risk or the amount of indemnity. The TCC introduces a specific provision in that regard and provides that where the insurance contract provides for partial or entire avoidance of the contract by the insurer for non-compliance with the duties by the insured (where the sanction of non-compliance with such duties has not already been specifically provided for in the TCC – as explained above), avoidance shall not take effect unless the non-compliance is based on fault. Where non-compliance is based on fault, the right to avoid the policy will cease when it has not been used within one month of learning of the circumstances. Also, the insurer will have no right to avoid the policy unless the non-compliance had any effect on the occurrence of the risk and the extent of the obligations of the insurer. According to the definition of the Insurance Act, a broker is the person who acts independently and impartially to appoint the insurance companies for contracting insurance policies. There are various obligations and prohibitions set out for brokers in the Brokers Regulation. For instance, brokers must conduct extended research when appointing insurers, and while they can conclude protocols with insurance and reinsurance companies, they are prohibited from engaging in any other business. Brokers are also prohibited from preparing insurance policies and similar documents. Under the new Brokers Regulation, the requirements on equity capital and assets have also been amended. A legal entity broker's minimum capital is set as 250,000 lira and 50,000 lira for any additional type of insurance. Brokers that are currently active are required to comply with this capital threshold within one year of publication of the Regulation (i.e., by 27 May 2016). Agencies operate on behalf of insurers, on the basis of a contractual relationship between them and the insurance company. Agencies also need to be incorporated as joint stock or limited liability companies and obtain the approval of the Undersecretariat, and shall be registered on the Agency Registry indicating whether or not the agencies are granted power to conclude contracts and collect premiums. The approval shall be then promulgated by the Turkish Union of Chambers and Commodity Exchanges. In April 2013, insurance agencies were prohibited from engaging in business other than agency work in the insurance sector. Apart from the disclosure duties regarding the conclusion of the contract (as set forth in Section III.ii, 'Insurance premium', above), the TCC provides for the duty of immediate notification of the increase of the risk during the term of the contract and provides that the insured and the policyholder must refrain from acts that would increase the amount of insurance indemnity by way of increasing the risk or current conditions. When the increase has been learned subsequently, the policyholder must notify the insurer within 10 days of learning at the latest. The insurer has the right to terminate the policy or request premium difference within one month of becoming aware of the increase in the risk. When the non-disclosure was wilful, the insurer will keep the paid premium. When payment of the premium difference has not been accepted within 10 days, the policy will be deemed terminated. When the increase has been learned of after the occurrence of the risk, the insurance indemnity will be reduced according to the gravity of negligence in the failure to disclose, provided that the non-disclosure is of such gravity that it may affect the amount of the insurance indemnity or the occurrence of the risk. When the policyholder was intentional in its non-disclosure, the insurer has the right to terminate the policy, provided that there is a connection between the increase in the risk and the occurrence of the insured event. In such cases, the insurer will not pay any indemnity and not return the paid premium. When there is no connection, however, the insurer must pay the indemnity, taking into consideration the proportion of the paid premium and the premium that should have been paid. When the risk has occurred before the right of termination has taken effect or within the period for use of the right of termination, insurance indemnity must be paid taking into consideration the ratio between the paid premium and the premium that should have been paid, provided that there is a link between the increase and the occurrence of the risk. The policyholder also has a duty of disclosure at the occurrence of the risk that relates to the disclosure of the facts affecting the occurrence of the loss. In the case of liability insurance, the TCC provides that the policyholder has a duty to immediately notify the insurer upon learning of the occurrence of the risk, and in the case of property insurance, the policyholder must notify the insurer without delay. As regards third-party liability policies, the TCC introduces a new duty on the insured to also notify events that may give rise to his or her liability within 10 days of learning. When the notification of occurrence of the risk has not been made or the policyholder was late in his or her notification, a reduction will be made in the indemnity according to the degree of negligence in the failure to disclose, provided that the failure caused an increase in the insurance indemnity. Even though the insured's interest is covered in exchange for the payment of premiums, he or she must still take appropriate precautions and not negligently cause further losses or aim to achieve enrichment upon the occurrence of the risk. In the event that risk materialises or that materialisation of risk becomes highly probable, the policyholder must, as long as circumstances permit, take measures to prevent the loss or the increase in its likelihood, to mitigate the loss, and to protect the insurer's rights of recourse against third persons. The insurer is entitled to deduct the premium due from the indemnity amount or the fixed sum to be paid with the exception of liability insurance. Set-off may be applicable even in the event where the insured and the beneficiary are different persons. The Code on International Civil Procedure with respect to insurance contracts provides that the following jurisdiction rules cannot be avoided by contract: (1) claims against insurers are subject to the jurisdiction of the courts at the insurer's principal place of business or the place of incorporation of the insurer's branch or Turkish-incorporated agent that concluded the contract; and (2), where the claim is against the policyholder, the insured or the beneficiary, the courts that have jurisdiction are the courts of their domicile in Turkey. The above provisions are unlikely to apply to reinsurance agreements with a foreign element. The Turkish Civil Procedure Code applicable to the local disputes restricts the freedom of choice of local jurisdiction to agreements between merchants and between public legal entities. Insurance agreements with no foreign element concluded with real persons and legal entities who do not qualify as merchants shall therefore be subject to the jurisdiction rules provided for in the Civil Procedure Act and cannot be contracted out. Regarding choice of arbitration in insurance and reinsurance contracts, see Section IV.iv, below. Unlike jurisdiction agreements, there is no specific restriction on the law applicable to insurance contracts. The main limitation to the application of foreign law would generally be Turkish laws of public order. The requirement of the existence of a foreign element is controversial and in a relatively recent decision of the Court of Appeal in an insurance case filed by an insured company, it was concluded that the choice of a foreign law would suffice for the fulfilment of the 'foreign element requirement' even if there is no foreign element with respect to the dispute. The general approach under Turkish law is that mandatory rules are not necessarily matters of public order. Where, however, the insured is not a merchant but a real person, consideration of public order and the law on 'standard contract terms' protecting the weaker party of the contract may prevail for the sake of protection of the insured. Reinsurance agreements with a foreign element are much less likely to be subject to the above restrictions of applicable law although there would obviously be issues of back-to-back cover where different rules could potentially apply to the local insurance. With regard to liability insurance, the TCC provides that third parties are entitled to direct their claims to the third-party liability insurer of the person responsible for the loss. Maturity of the indemnity payment arises upon conclusion of the insurer's investigations into the scope of the indemnity and in any case upon 45 days after notification of the occurrence of the risk. The investigation of the insurer shall in any case be concluded within three months from notification. Insurance disputes are in principle dealt with by the first instance commercial courts. Written submission by the parties of their claim, defence, rebuttal and rejoinder and evidence. A preliminary hearing date is set, where issues such as case conditions (e.g., existence of the judiciary power of the court, disputes on capacity to file and pursue a lawsuit and allocation of a security if necessary) and preliminary objections (jurisdiction, division between the civil and commercial courts, existence of an arbitration agreement) are to be resolved. The judge shall carry out the required procedure to collect the parties' evidences. At the preliminary hearing, the judge will also encourage the parties to settle or resort to the mediation. In this stage, the parties can amend their evidence and assertions only if the counterparty gives his or her consent. Turkish courts almost always revert to court-appointed expert examinations even in legal matters. Hearings are being held on the disputed elements of the case, where the court could hear witnesses and obtain expert reports. Upon assessment of all evidence and facts, the court delivers a short judgment followed by a reasoned judgment. According to the new Turkish judicial system which became operational for the judgments that are rendered after 20 June 2016, the appeal procedure is to be conducted by a two-tier system comprised of regional appellate courts15 and the Supreme Court.16 Accordingly, the decisions of first instance courts concerning a dispute amounting no less than 3,110 lira can be appealed before the regional appellate courts. Decisions of the regional appellate courts can be appealed before the Supreme Court, provided that the dispute amounts to no less than 41,530 lira. This new system is expected to decrease the workload of the appellate courts and accelerate the appeal stage. This would also enable the Supreme Court to evaluate the merited issues of a dispute and prepare more diligent reasoning for their awards, which may hopefully develop case law where law or practice are ambiguous. This is particularly important for insurance law, because the Supreme Court has not been satisfactory until now in providing guiding principles for complex insurance disputes that often require a considerable effort to interpret the facts and contracts in order to solve a wide range of issues (i.e., deductibles, exclusions, subrogation, etc.). Under Turkish civil law, the adversarial system prevails. The burden of proof of the existence of the contractual relationship, the occurrence and amount of the loss lies with the insured. The insurer must prove the lack of cover and application of exemptions. Every transaction exceeding 2,500 lira must be proven by a deed. Witness evidence would only constitute supportive evidence. Turkish courts frequently refer disputes to a court-appointed panel of experts, even in legal matters. As a novelty, the parties are granted the opportunity to submit expert views subject to the questions of the judge and the parties (without any common law-style cross-examination procedure)17 as supportive evidence without any need to obtain a judge order in this regard. Neither expert reports ordered by the court nor expert views submitted by the parties are binding for the judgment. 6.831 per cent of the claimed amount needs to be paid as court fees.18 One-quarter of this amount has to be paid to the court in advance by the claimant. Court fees and court expenses (the most significant of which are expert fees – around €500–€750 per expert) are recoverable in the event of the case being found in favour of the claimant. The court orders legal fees in favour of the winning party (or to the extent of acceptance by the court of the claimed amount) in accordance with an official tariff. The parties cannot recover actual fees they may have paid to their lawyers. Lawyers' fees ordered by the court belong to the lawyers unless agreed otherwise between the lawyers and their clients. Claimants who are of foreign citizenship may also be obliged to submit a warranty to the court, the amount of which shall be determined by the court, subject to exemptions provided by bilateral and multilateral agreements (such as the Hague Convention on Civil Procedure). Pursuant to Law No. 6570 dated 29 November 2014 authorising its establishment, the Istanbul Arbitration Centre19 was established and parties currently have the opportunity to refer disputes either to the Centre or to the Insurance Arbitration Commission, whose functioning is explained in detail below, At present, the Istanbul Arbitration Centre seems to present an efficient alternative to court litigation, as the costs are low and the pace of proceedings is high. Parties can refer to arbitration for the resolution of insurance disputes by inserting an arbitration clause into the insurance and reinsurance agreement or concluding a separate arbitration agreement between each other. Provisions of Civil Procedure Law will be leading the parties to arbitrate in Turkey in a local dispute whereas the International Arbitration Act20 will be applicable if there is a foreign element in the dispute, particularly in disputes between local insurers and foreign reinsurers where the place of arbitration is Turkey. The Insurance Act foresees an institutional arbitration proceeding irrespective of the existence of an arbitration clause. Even if the insurance company is not a member of the arbitration system, the insured shall benefit from the relevant arbitration procedure regarding the disputes arising from compulsory insurance. The Arbitration Commission may appoint a tribunal consisting of a minimum of three arbitrators specialised in life or non-life insurance in cases of arbitration based on the Insurance Act. However, where the disputed amount is equal to or above 15,000 lira, it is compulsory to form a tribunal. The tribunal decides by majority. The requirement for application to the Arbitration Commission is a partial or total rejection of the insurance claim. Applications may not be filed with the Commission regarding disputes that have been referred to a court or to the Arbitration Committee for Consumer Problems. The application to the Commission shall be first examined by rapporteurs. Applications that cannot be settled by rapporteurs are referred to the insurance arbitrators. Arbitrators have to issue their awards within four months, at the latest, of the date they have been commissioned. In addition to the procedure of arbitration adopted by the Civil Procedural Code, the arbitrator may consider the case on submitted documents only. Unless otherwise agreed, the tribunal or the sole arbitrator can decide on the provisional injunctions or evidence determination. Attorneys' fees ordered in favour of the party whose request is partially or wholly accepted are one-fifth of the attorneys' fees referred to in the Minimum Attorney Fees Tariff. The fees of arbitrators are paid by the Commission. Arbitrators shall decide on the additional costs as regulated under the Civil Procedural Code. Most of the awards rendered by the Arbitration Commission concerned car insurance policies, compulsory traffic insurance, property insurance and life insurance policies. Compared with court judgments, the awards contain more comprehensive examinations and reasoning. The insured can apply to the Insurance General Directorate, incorporated under the Undersecretariat, regarding their complaints arising from interpretation of the regulations or conduct of an insurance company. Mediation has not been a frequently used method of dispute resolution. Mediation was recognised in Turkish Law for the first time by the Mediation Act, which entered into force in June 2013. The courts are also obliged to invite but not force parties to settle disputes by means of mediation or settlement. In the event of a settlement at the end of mediation, the parties may request an annotation regarding the execution of the agreement from the court at the place of jurisdiction. Such an annotation gives the agreement reached as a result of mediation the power of a court judgment. 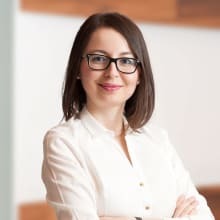 One of the main hot topics in Turkish insurance law continues to be the private pension scheme that recently became compulsory for Turkish citizen employees and public servants. The government is encouraging private pension systems and annuity products by providing contributions to the premiums paid by the policyholders and introducing compulsory pension schemes. In this respect, with the amendment of Personal Pension Savings and Investment System Law (Law No. 4632), employees under 45 became automatically included in the pension system, the premium for which is deducted from the insured's salary. The latest finance news, however, reports that this product has not reached the desired success as 50 per cent of the insureds opted to abandon the scheme shortly after their automatic inclusion. Building completion insurance policies, credit insurance policies and short-term trade credit for small and medium enterprises have recently been introduced as products, serving the purpose of limiting the effects of economic slowdown and currency volatility.22 Recent reports, however, show that the building completion insurance policy has failed to have the desired effect because insurance companies are unable to analyse the financial condition of the contractors and are therefore hesitant to insure the risk out of contractors' incapacity to fulfil their contractual obligations. Cyber risk is also one of the newly emerging risks that inevitably falls within the interests of insurance and reinsurance companies both in Turkey and globally. One of the biggest and most serious cyberattacks in Turkey to date involved one of the most reputable banks in 2016. According to the bank's official statements, the loss incurred by the bank was then remedied as per the lower limit of the banker's blanket bond, without seeking any separate insurance coverage particularly concerning cyber risk. With a fast-growing Turkish e-commerce market, new legislation and administrative measures are expected in the near future that would cover cyberattacks as a risk from the economic perspective as well as for national security. This would eventually impose additional legal responsibilities to companies and organisations, increasing the need for appropriate insurance. The Turkish government has an objective to be the 10th biggest economy in the world by 2023, aiming to generate US$2 trillion worth of gross national product. In line with this objective, the government has the insurance sector, among others, in its sights. Because of the increase in foreign investment and developments in the Turkish economy, it is expected that the insurance sector will gain momentum over the coming years. Newly emerging risks, disasters that have been experienced and the economic climate stand as important motives when shaping the underlying legislation and insurance tools. For instance, the Ministry introduced compulsory personal accident insurance for those working in mines shortly after unfortunate mining accidents in 2015. In that vein, the Undersecretariat is also planning on enhancing insurance regulations to incentivise participants in the insurance market and to develop new products that will create opportunities for insurance companies. Efforts still require to be made regarding alignment with the EU on insurance regulation, and these are expected to continue. Despite strong growth in the non-life segment, one of the key trends continues to be promotion of non-life insurance, which is still too low compared to its European peers. It is analysed that the main reason behind low non-life penetration in Turkey is that for the most people insurance is neither a priority nor a necessity. As this approach reveals that there is limited understanding about the benefits of insurance, this problem is expected to be solved by enhancing customer awareness and trust in the market. In this way, the volume of non-life insurance segment, which was around 15 billion lira in 2012, is projected to reach 63 billion lira in 2023, according to a report published by the Insurance Association of Turkey. 1 Pelin Baysal is a partner and Ilgaz Önder is an associate at Gün + Partners Law Firm. 3 Insurance Union of Turkey, www.tsb.org.tr/resmi-istatistikler.aspx?pageID=909. 5 Investment Support and Promotion Agency of Turkey, 'The Financial Services Sector in Turkey: June 2016'; http://www.invest.gov.tr/tr-TR/infocenter/publications/Documents/FINANSAL.HIZMETLER.SEKTORU.pdf. 6 Insurance Union of Turkey, 'Statistics of Foreign Insurance and Reinsurance Companies', 12 February 2014. 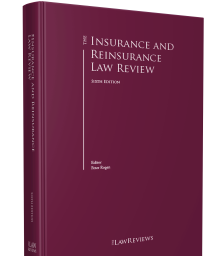 7 Burcu Ayten, '2017 Reinsurance Renewals', REASÜRÖR, Volume 104, page 16, http://www.millire.com/dergi/SAYI_104.pdf. 8 Investment Support and Promotion Agency of Turkey, 'The Financial Services Sector in Turkey: June 2016', http://www.invest.gov.tr/tr-TR/infocenter/publications/Documents/FINANSAL.HIZMETLER.SEKTORU.pdf. 9 Insurance Union of Turkey, 'Shaping our future: building turkey's insurance and pension fund sector to drive long-term economic growth', http://tsb.org.tr/images/Documents/ING_2023_kitap.pdf. 15 Article 341 of the CCP. 16 Article 361 of the CCP. 17 Umar, Bilge; HMK Şerhi sayfa 801 vd. 20 Drafted in consideration of the UNCITRAL Model Law on International Commercial Arbitration, the Arbitration Law is applicable to those disputes involving a foreign element. 22 Turkish Insurance Market Outlook 2016–17, p.33, http://www.jlt.com.tr/upload/files/Turkish_Insurance_Market_Outlook_2016-17.pdf.